Sure to get your toes tapping! 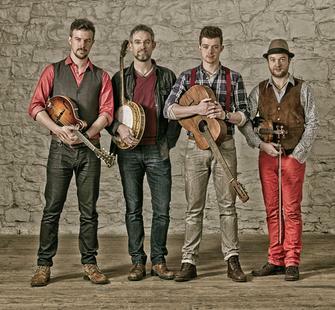 Don’t miss two of today's freshest Celtic groups in concert at Montalvo. Ireland’s We Banjo 3 finds common ground between old world tradition and authentic Americana by blending banjo, fiddle, guitar, and mandolin in an innovation fusion of styles they dub “Celtgrass.” Skerryvore are two-time winners of Scotland’s Traditional Music “Live Act of the Year” Award (2016 & 2011). Their sound is a thrilling fusion of folk, traditional, rock, and pop, steeped in the vibrant personalities of their eight band members.